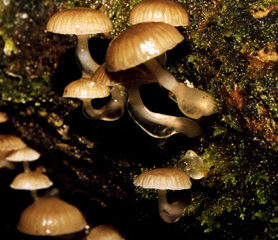 On decaying wood in wet forests. 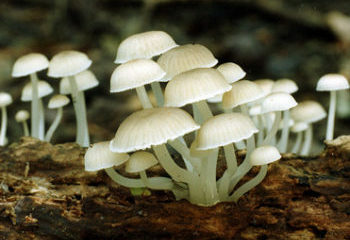 This tiny bonnet has a short, white, very slimy stem which always has gluten accumulating in a thick layer at the base. The translucent-striate, convex cap can be white or brown, but characteristically has minute brownish dot-like scales in the centre.